It is the little things that sometimes catch your eye. 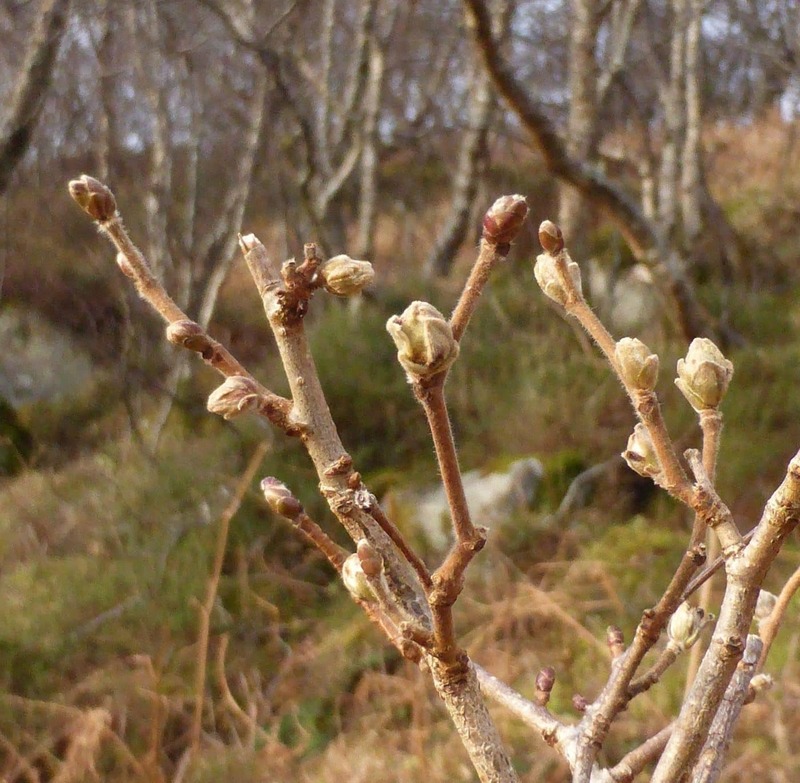 Some thirteen years ago Robin Noble was surveying the woodland on Little Assynt and at Torr Mor (NC1525) he found and photographed some remarkable old hazels. Gwen Richards had prints of his photographs, but no precise locations. So, on the afternoon of 26th January 2018, we took a walk through the southern edge of the wood to see if we could re-find them; we were successful, logging all the hazels we came across. One group, in a south-facing rocky clearing above the road, included four large multi-stemmed trees, apparently coppiced, though many years ago. Nearby were at least five saplings, a metre or more high, an unusual sight in Assynt, since they normally get browsed off by sheep or deer. 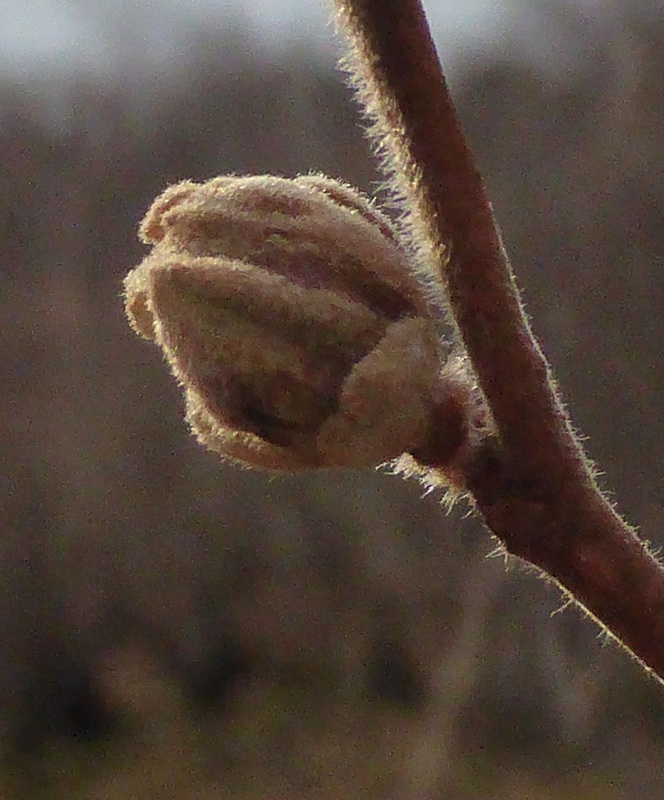 Taking a closer look at the saplings, we noticed that some unopened buds were much larger than others. I last came across something similar back in 2003, in Ayrshire, and remembered that hazels, like blackcurrants, are subject to a condition known as ‘big bud’, galls induced by mites, in this case one called Phytoptus avellanae. I took a specimen of these galls home, sliced it in half and put it under the microscope. 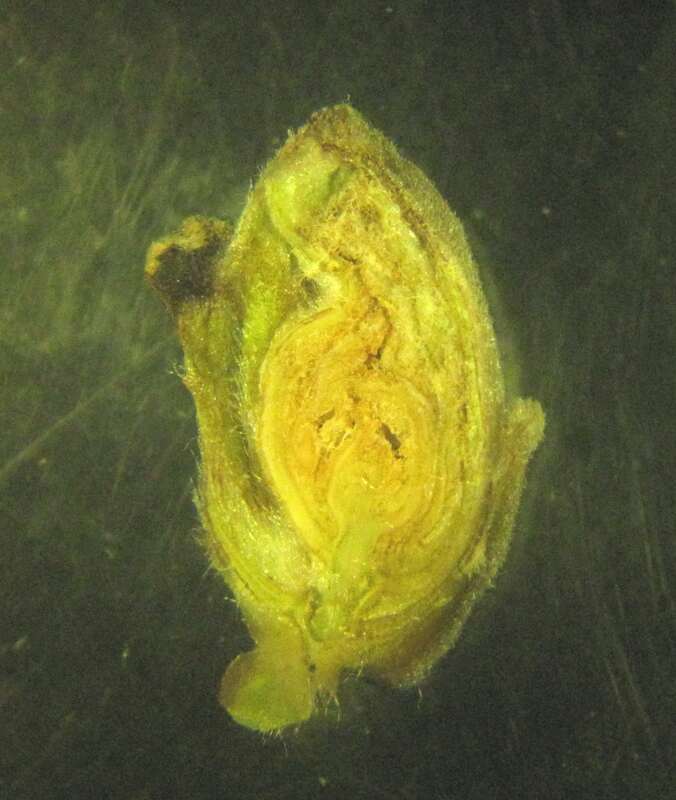 Tiny worm-like mites were indeed present, feeding on the fleshy tissue deep in the enlarged buds, which will not develop. 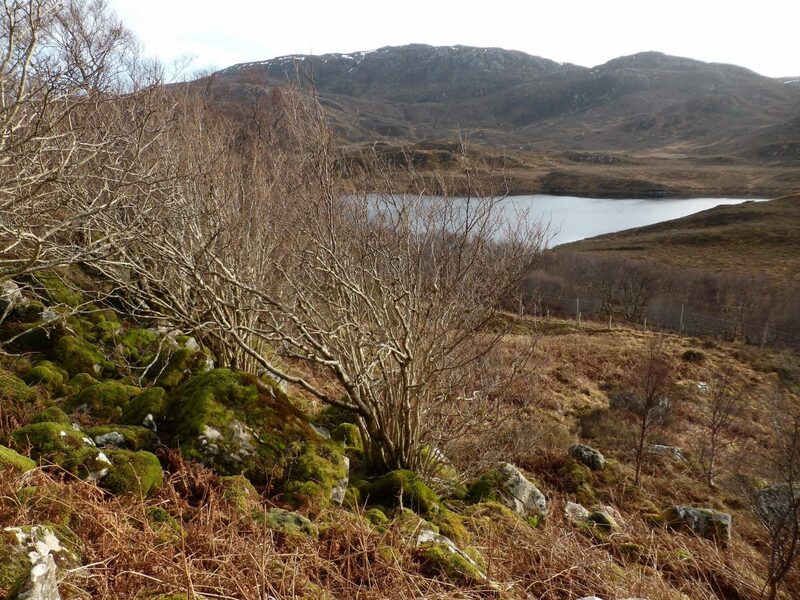 Murdo Macdonald of HBRG tells me he first found these galls in 2016 at two sites in the Rannoch area (NN55 and 65) and again in 2017 at three sites in Highland, two in the west (Arisaig NM68, Plockton NG73), and once in the east (Brahan NH55). He thinks that he may previously have overlooked them, since the differences in bud size are relatively small. We were perhaps lucky, coming across them so early in the year, when they are more obvious. Be that as it may, this record very considerably extends their known range.